Even the very best occasionally needs a little help. Presenting the Questyle Audio CMA800P, commissioned by STAX, to bring out the full potential of their flagship SR-009 electrostatic ear-speaker system. All hand made in Japan, and only available on a custom order basis, the pinnacle of the STAX line, the SR-009 provides sound with a natural clarity and exquisite detail demanded by the most discerning of audiophiles, but to bring out their full dynamics, to provide unprecedented deep, articulate and controlled bass, to remove that last bit of haze in the treble, a pre-amp was needed, and STAX felt that only Questyle Audio, had the technological expertise, and the auditory finesse to build it. High-end audio gear, must prove itself with outstanding sound performance. 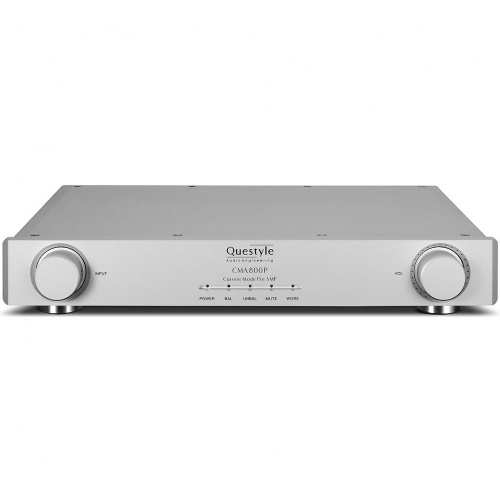 The Questyle Audio CMA800P’s performance and specification will surprise audiophiles in many aspects: inherent from the patented Questyle Audio "Current Mode Amplification" design, it produces a distortion level as low as 0.00025% THD, linearly across the complete audible spectrum of 20Hz —20kHz, while producing no measurable TIMD. With performance like this, the Questyle Audio CMA800P can easily challenge all pre-amps in current production. Together with the STAX SR-009 system, the Questyle Audio CMA800P awards the user, with a much greater than expected listening experience. Thanks to the Questyle Audio CMA800P & STAX SR-009 system’s high-resolution expression capabilities, the bass reproduction cannot be matched by dynamic headphones, and individual instrument pronunciation is clearly displayed without mixing, creating a powerful sound stage, ensuring each instrument has its precise playing position expressed. Have no fear that high frequencies will be overshadowed due to the bass performing so well, on the contrary, the high frequencies are greatly improved as well. Listeners will be thrilled at the richness of sound, especially the violin, which is often left thin and anaemic on other headphone systems. 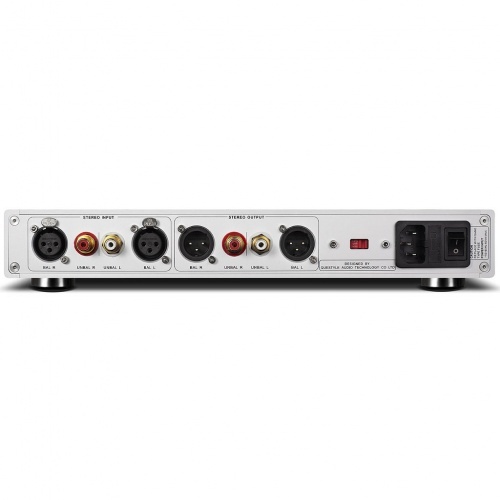 Of course the CMA800P is a fine piece of audiophile engineering and as such can be used as a pre-amp before other demanding headphone designs, along side Questlye Audio’s CMA800R, to bring the best out of them. As the Questyle Audio CMA800P is aiming to push up STAX SR-009 into a much higher level position, its craftwork surely requires the most precise CNC tooling procedure. 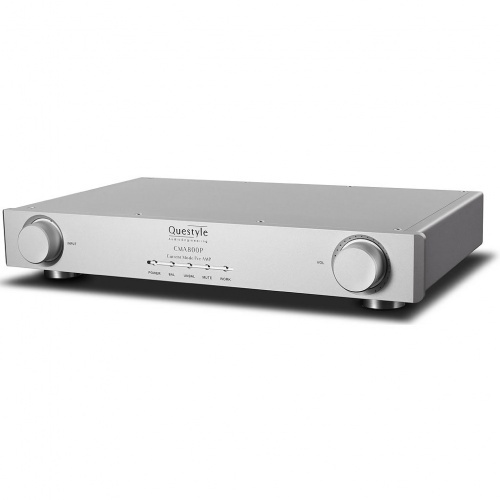 Most of the production work, on the Questyle Audio CMA800P, is processed under the highest standards of procedure. 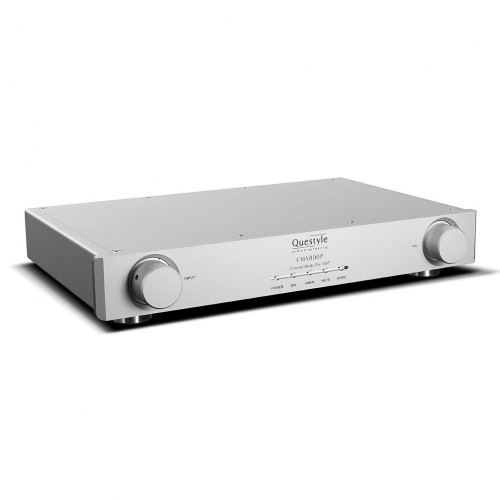 As a pure class A pre-amp, the Questyle Audio CMA800P employs a heat-leaking aluminium case to maintain proper temperature control. Even every screw is specially tooled by CNC machines, to ensure it is strong enough.